US Army Pfc. 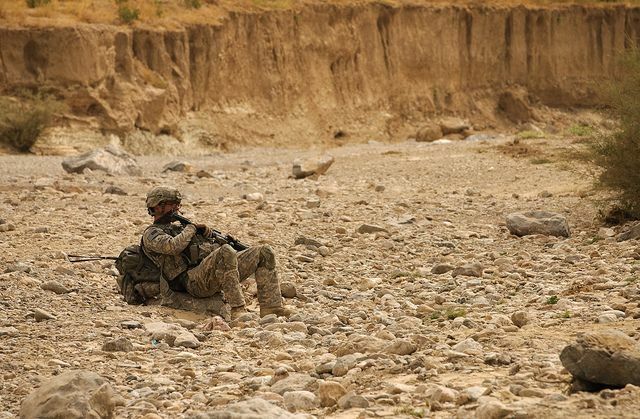 Justin Cobbs, a radio operator assigned to 3rd Platoon, Fox Company, 2nd Squadron, 2nd Stryker Cavalry Regiment, takes a break in a dried riverbed during a dismounted patrol near Combat Outpost Mizan, Mizan District, Zabul Province, on Aug. 16, 2010. Photo via the US Army by Senior Airman Nathanael Callon.